Fits 1965 onward 12-1600cc Aircooled Including CT And CZ Engines. Also Fits Wasserboxer Watercooled Engines. As Pictured. 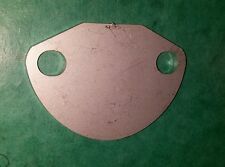 T1FP STAINLESS Blanking Plate For Classic VW Engines. 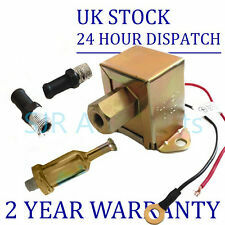 Very Handy When You Are Converting Your Split Screen Van, Bay Van, T25 Wedge Van, Beetle, Karmann-Ghia, Thing, Trekker Or Variant Across To An Electric Fuel Pump. 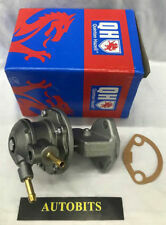 VW KARMANN GHIA 1.3 Fuel Pump 70 to 74 AB QH VOLKSWAGEN. VW BEETLE 1200 1.2 (11) Special Design Petrol 01/1960 12/1985 RWD 8 34 25. VW BEETLE 1300 1.3 Special Design Petrol 08/1965 07/1970 RWD 8 37 27. Volkswagen Beetle 1.2 1302 (08/70-12/72). Volkswagen Beetle 1.3 1302 (08/70-12/72). Volkswagen Beetle 1.3 1303 (09/72-07/73). Volkswagen Beetle 1.6 1302S (01/71-12/72). 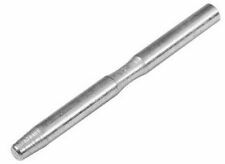 This Fuel Pump Push Rod is used on all vehicles using Alternators including T25 waterboxesr. Equivalent to part number: 113127307A. We just want you and your car to be happy! We will always attempt to rectify the issue as fast as possible! Fuel Pump Push Rod used on all vehicles using Generators, 108mm long. Equivalent to part number: 113127307. We just want you and your car to be happy! We will always attempt to rectify the issue as fast as possible! Beetle - 1200, 1300, 1302, 1302S, 1500, 1600. We are a family run motor factors in Midlothian, Scotland. Our staff have over 50 years cumulative experience in the motor trade with one of us specialising in Ford parts and have access to old microfiche for Ford O.E.M parts numbers. Fuel pump VW Beetle bus T2 Karmann Ghia. Gasoline pump. Blow pop off valve Nissan GTR R35 open or closed Loud Hiss NewGBP 143,85. Fuel Pump VW Beetle Bus Karmann Ghia T2. Repair Kit Rep. Set gasket set Solex carburetor VW Beetle Solex 30 31 34 PICTEUR 15,95. Key blank key blank AH VW Golf 2 3 Passat 35i Polo 86 C 6N VentoEUR 2,50. Equivalent to part number We just want you and your car to be happy! We will always attempt to rectify the issue as fast as possible! You'll have the part ASAP. Eg, Vetech, Erst Klassig, Franzen, NK, etc. SKV GERMANY. 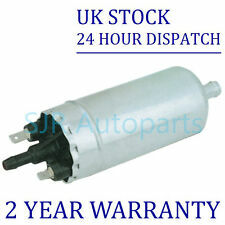 There may be on occasions more than one compatible part for your vehicle. Then at our discretion we will decide the next course of action. We will do our best to answer as fast as possible. BOSCH FLASHER UNIT 0335200038. However delays are occasionally inevitable due to unforeseen circumstances. 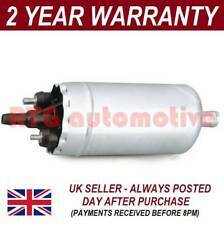 Reference OE/OEM Number AUDI:191953227A AUDI:1H0953227 AUDI:111953227D AUDI:431953231 BMW:1126966 BMW:12111365113 BMW:1362386 BMW:61311243565 BMW:61311366727 BMW:61364257342 BMW:12111364984 BMW:61311371907 BMW:61311371909 BMW:61311372021. With an expanding range of the latest products sourced from the world’s leading OES and AM suppliers. ZASTAVA - 101 (1100) - 1.1 12.75 - 01.80 Hatchback 37 50 1116. ZASTAVA - 101 (1100) - 1.1 06.73 - 01.90 Hatchback 40 55 1116. ZASTAVA - 101 (1100) - 1.1 05.75 - 12.93 Hatchback 41 56 1116. ZAZ - TAVRIJA (1102) - 1.1 01.89 - Hatchback 37 50 1091. Here is a nice used original genuine VW fuel pump spacer adapter 113.127.303 as used on 1960-74 VW models. Other Part Number 113 127 303. Manufacturer Part Number 113127303. The following original part numbers are for comparison purposes only, they receive no part of the original but a part of the accessories market The parts are easy to replace the original parts to the original mounting points. Auto parts vehicle selection model type / key number / KBA number. SEAT 443 133 741 A. Due to the enormous variety of parts the factory installed parts, it is technically not possible to bring any vehicle specification in our vehicle Association. Â·Wide Open Flow: 130 LPH. This is a universal fuel pump which can be adapted to fit many petrol/ diesel engines. Universal 12v Fuel Pump. This part has spade connectors as pictured. This is primarily sold as a universal fuel pump and is to be bought on the understanding that modification may be needed when fitting. VW KARMANN GHIA 1.6 Fuel Pump 70 to 73 AD QH VOLKSWAGEN. VW BEETLE 1200 1.2 (11) Special Design Petrol 01/1960 12/1985 RWD 8 34 25. VW BEETLE 1300 1.3 Special Design Petrol 08/1965 07/1970 RWD 8 37 27. 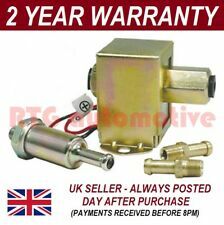 VW KARMANN GHIA 1.5 Fuel Pump 66 to 69 QH VOLKSWAGEN. VW BEETLE 1200 1.2 (11) Special Design Petrol 01/1960 12/1985 RWD 8 34 25. VW BEETLE 1300 1.3 Special Design Petrol 08/1965 07/1970 RWD 8 37 27. VW BEETLE 1300 1.3 (11) Special Design Petrol 01/1965 07/1970 RWD 8 40 29. VAG 113027025A, 113027027C, 113127025C, 113127025D, 124127025A, 211127025A. 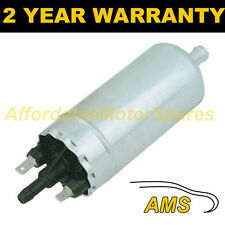 VW 113027025A, 113027027C, 113127025C, 113127025D, 124127025A, 211127025A. Fuel Pump QFP98 Quinton Hazell. Part Number QFP98.